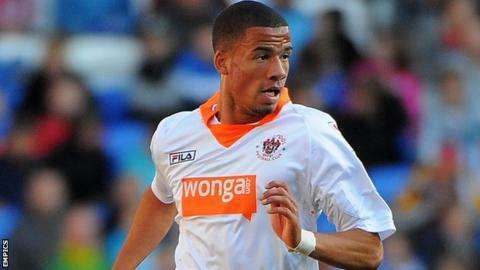 Tranmere have eased their injury crisis by signing striker Nathan Eccleston on loan from Blackpool for a month. The League One leaders have lost Jean-Louis Akpa Akpro until the new year with a broken foot, while loanee Jake Jervis is out with an ankle problem. Eccleston, 21, joined Blackpool on a permanent basis from Liverpool in August but has made just one substitute appearance for the Seasiders. He could make his Rovers debut against Preston North End on Saturday. Tranmere have lost their last two league matches and have seen their lead at the top of the table cut from seven points to one.